being little • bristol uk fashion & lifestyle blog. : with your christmas of white. Firstly, I want to say another massive thank you to Gem for featuring me in her last post. She wrote some really sweet stuff and it made me smile a lot. The comments that people left were so encouraging and heartwarming. Plus I know a lot of you reading now came via her, so double triple quadruple thank you! Secondly, I've noticed a lot of people wearing black and dark colours recently. I mean, I know it's winter and I know it's nice to wear dark colours but....everything just looks so much more cheery when everyone is wearing colourful stuff, and I need to feel as cheery as possible right now. So I decided to wear a massive mustard top and red tights (and a black skirt but we'll ignore the fact that I am actually wearing black) and my mum's headscarf that I always wear. Today, I made a present. Just in case they happen to be reading this, I'm not going to say who it's for, although I think it's pretty obvious. ANYWAY. I had a brilliant idea to make some t-shirts. 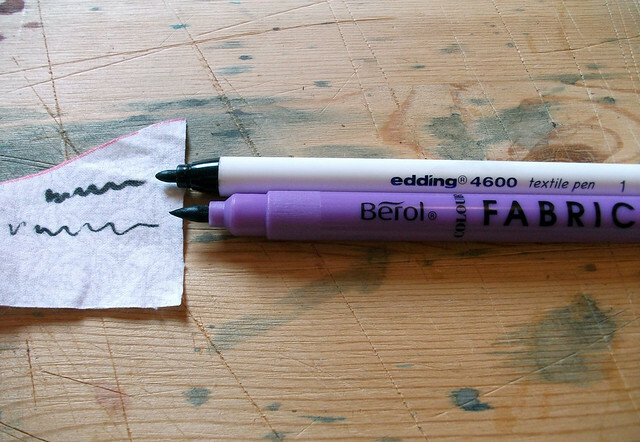 This is such an easy and personal thing to do, so if you have even a tiny bit of artistic talent in you, I think you should just do it. Okay? 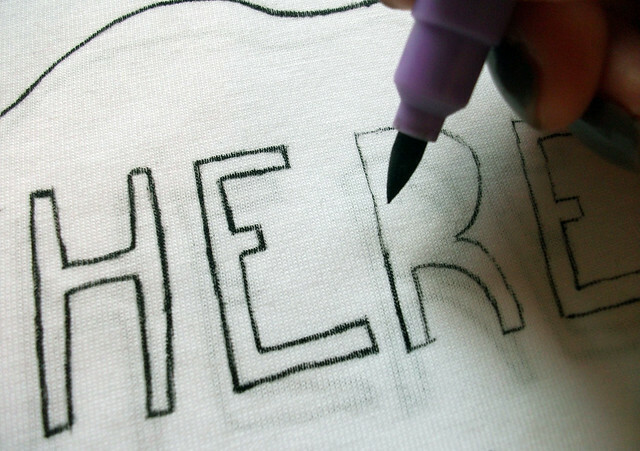 The white tee was easy because I could just see the design through the fabric. I couldn't see through the grey one, but the design was simple enough to just copy. Here are the finished items! I kind of want to keep them...! I'm DEFINITELY going to make another diamond one for myself! I hope they are a nice surprise when they're opened.. Finally another Christmas song for you, why not. Bright Eyes are lovely. WOW!! 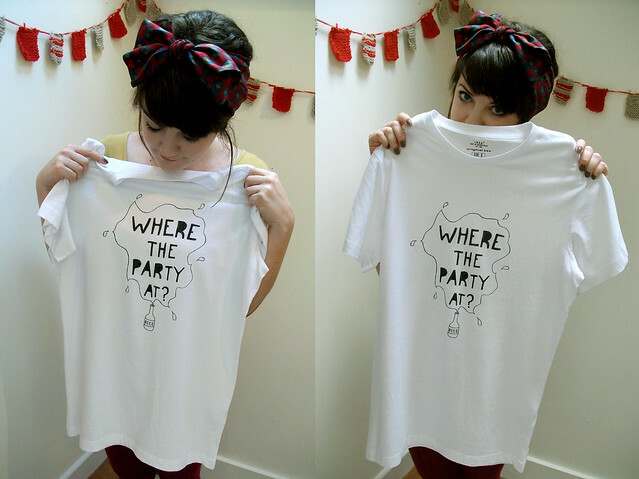 really nice T-shirt's !! I love those tops, I need to get my some fabric pens though because the last time i tried with normal markers it ran ): can't wait to try! i am really jelous !! I love your head scarf !! where did you get it from ?? This is such a great post- there's so many things going on at once that I love. Your shirts are so amazing! I think they're such a good idea. 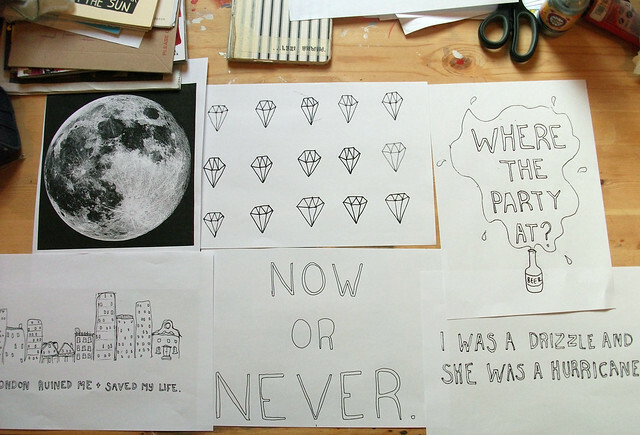 It makes me want to get doing some DIY of my own. I also adore your outfit. 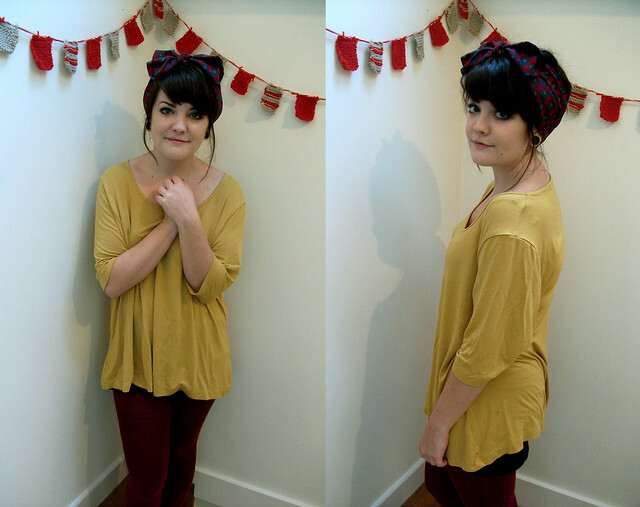 Mustard is one of my favourite colours, and it looks so great against the red trousers you have on! You are the spit of Lilly Allen in that second picture!! 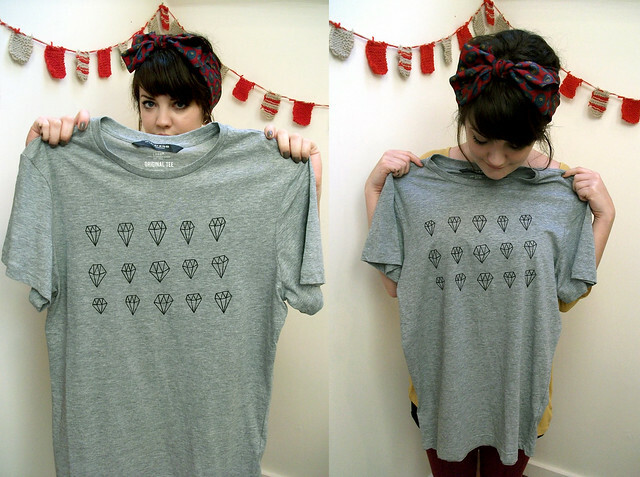 I love the colour of this top, and your christmas prezzie tees look really good! Think I may have to give that a wee try. Totally agree about the bright colors! Even though it's winter, it feels much more festive to wear bright colors and prints! Wow that t-shirt idea is awesome! It's specially good for boys since they're so difficult. Giving presents for my dad and brothers in christmas is a nightmare. 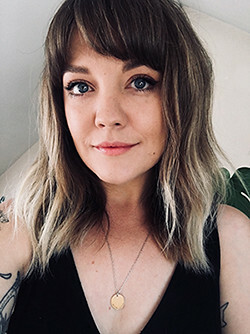 Your blog is gorgeous and i love the outfits you've posted. Those t-shirts are extremely impressive!!! Amazing! you are adorable! i love your headband, it looks super cute on you! great job on the shirts too they look awesome! i am a huge fan of color all through the year but really like to let loose when it is winter! i agree just because it is cold outside and dark doesn't mean you have to dress like that! Stop being so bloody gorgeous! I love that gorgeous mustard top on you. 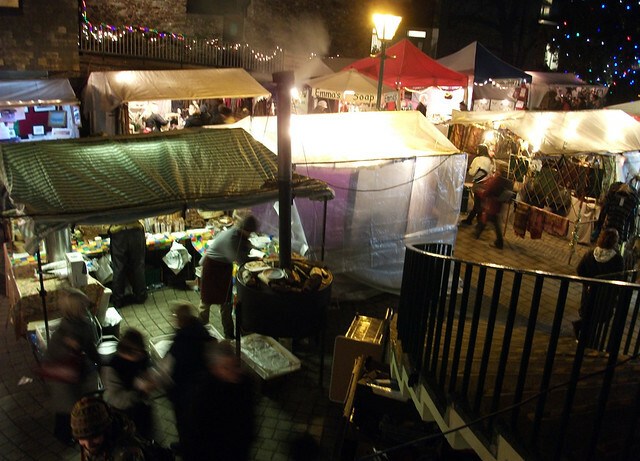 Ooh, I wish I went to more Christmas markets this year :/ It looks soooo good! 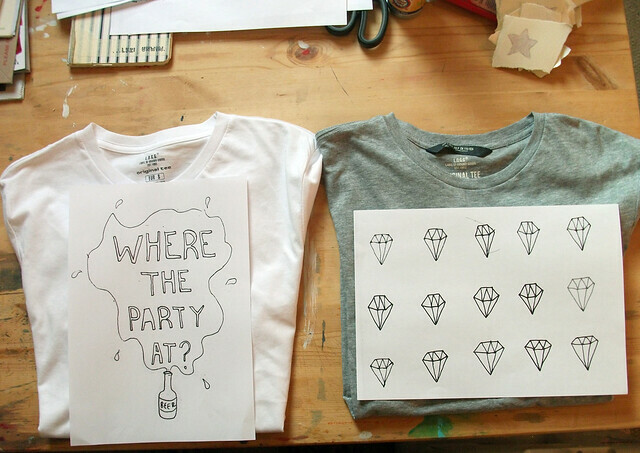 Woah, your tees look so good (: I'm especially loving the party one although the diamond one is too cute. Oh, Bright Eyes. How I could weep at each of their songs. Have a lovely weekend sweet. 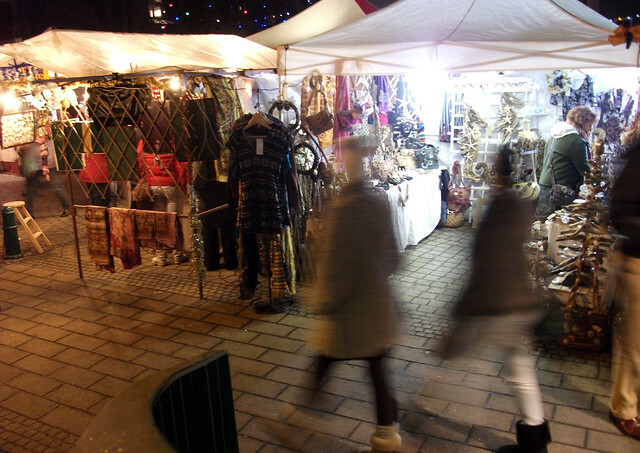 weirdly i've just done a post about my trip to manchester xmas market, looks quite similar really. 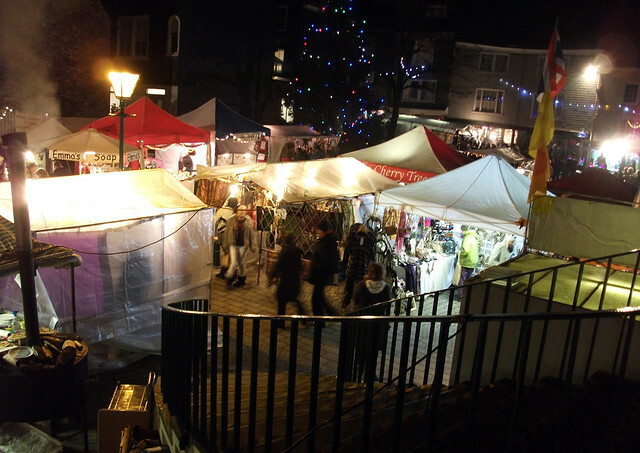 the smells and stalls just made everyone feel so christmasy. know what you mean about the dark colours, i tend to wear something a bit vibrant in some way. YOU ARE SO BLOODY TALENTED. 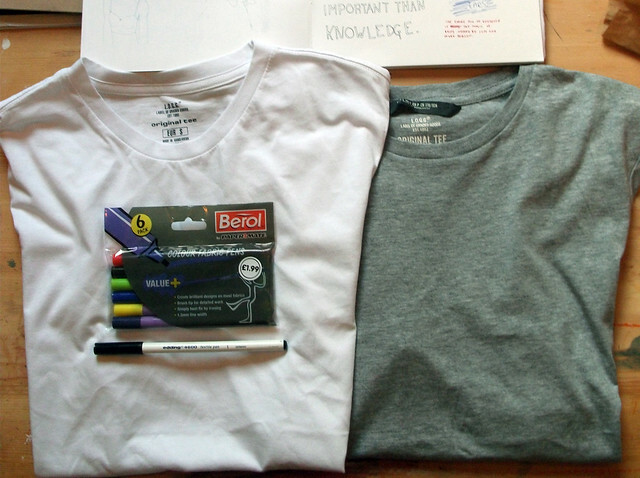 thank you for showing how to do the t-shirts, i can't wait to try some. your designs are sick! does your mom's headband come tied like that or do you have to tie it yourself? I love the look but find that scarves only stay on my head if I tie them huge and straight across like a pirate, y'arrr!! if you do another video post, could you show how you tie your rockabilly scarf pretty please? Oo what a lovely little blog you have! So cute that your making your own christmas stuff, I've just started mine but i'm so impatient their not going too well! 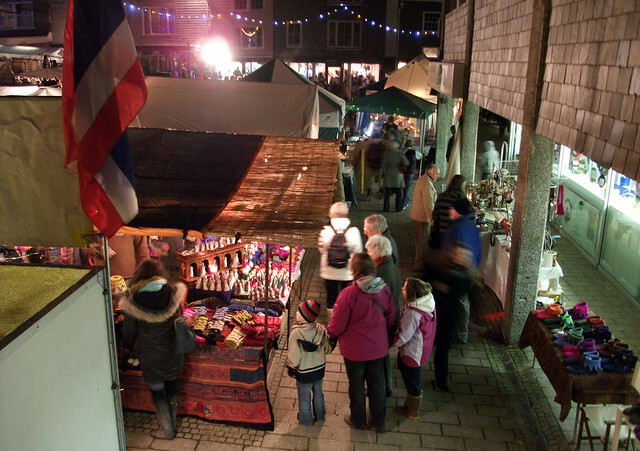 I love your t - shirts, I went to totnes market last tuesday and it was lovely and made me feel very christmassy!! Loved all the jewelry, but unfortunately it was all a bit too expensive so didnt buy any!